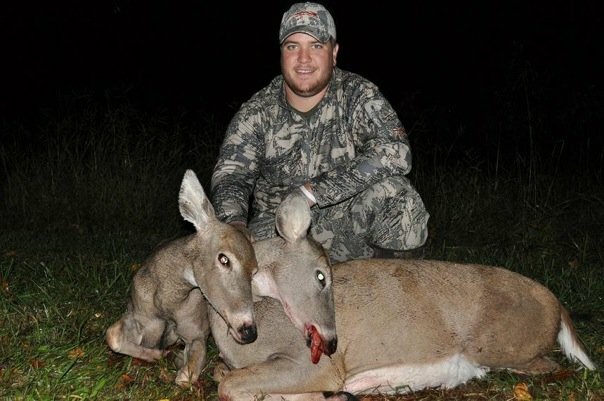 After a slow start to the Missouri season and minimal mature buck sightings we decided it was time to put our doe management efforts into full swing! In the past week we have killed 7 does between Shawn, Skyler, my friend Josh and myself. Gotta love back straps! 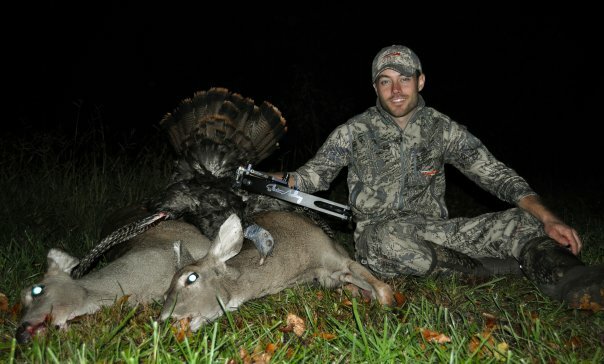 Shawn was even fortunate enough to shoot a nice hen turkey! One less bird to steal the toms away from us this spring! Nice to see you guys are keeping busy, A new season starts here I guess. Good luck to you all and stay safe in those stands. Those are some fat looking does. What’s your current ratio, and what are your goals? Dang send some does my way. I have had several small bucks come by but the does seem to be in a different county. My wife is wanting some more deer burger in the freezer, we are almost out hehe. Way to go guys. Quality Deer Management at its best. Did Skyler even shoot that doe? I see no blood…looks to me like he was cuddling with it…how cute! Haha! Now go get them big bucks! hahaha…somebody else made a comment about that. He shot her at 8 yards so it was a steep angle and the exit was in the armpit and the leg is covering it up. The entrance was on the other side. 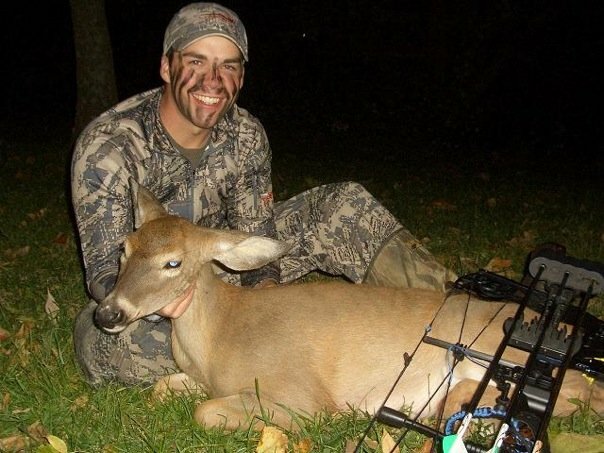 Shawn, Bridget and I are headed out this evening to try and get Bridget her first deer with a bow! Skyler, thats awesome!! tell her congrats!! Why look at the three amigos, you guys have been busy!! You boys are laying them down. About time for some bone now….